Lionsgate Home Entertainment has added the action thriller Cold Pursuit to its line-up, bringing the movie to 4K UHD, Blu-Ray Disc and DVD in May. Aside from the feature film, the high definition releases will also include a selection of Deleted Scenes, as well as Interview Featurettes with Actor Liam Neeson and Director Hans Petter Moland. 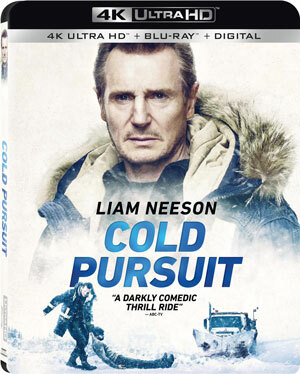 Cold Pursuit will be in stores on May 14 and can be yours for $42.99 on 4K UHD, $39.99 on Blu-Ray Disc, and $29.95 on DVD.